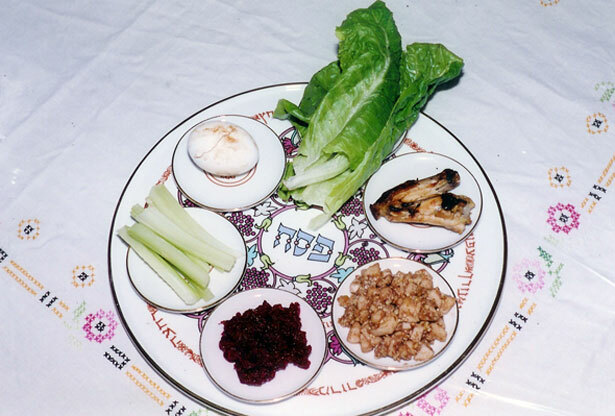 As The New York Times worries about the difficulties of preparing vegan food for Seder, what about the difficulties of celebrating a plague that killed all firstborn Egyptian children and animals? Talk about collective guilt. According to Exodus, as summarized on Bible.org, “The weeping and the wailing was not like anything ever heard in the land before.” And that’s without throwing in the disease of livestock, hail and thunder, locusts, lice, frogs, flies, water that turned to blood killing all fish, and that old standby: incurable boils. To be fair, according to the revealed truth of Wikipedia, everyone in Egypt, Israelites included, got the lice, frogs and bloody water treatment, and there is a question of just how far the locust exposure extended. Wikipedia also questions whether it was God who did the smiting or the “Angel of Death,” as some think. More research would help here, but I am already late for dinner, and no one there will be interested in my dreary take on the occasion of our freedom feast. They certainly don’t need to be bummed out by the tale of the battle between Moses and the Pharaoh’s sorcerers over who could most expeditiously make the Nile stink from the odor of dead fish. I know this is a sensitive subject, but since even the youngest among us are supposed to raise questions at the Seder, doesn’t that vengeance from on high seem excessive? After all, the non-Israelites didn’t get to vote for the Pharaoh or otherwise offer their consent for his choice of false gods to worship, so why are innocent children being treated as collateral damage to make a fanatical religious point? Of course this is not an awkward issue for Jews alone, because the passages in Exodus extolling the slaughter of noncombatant Egyptians represents sacred scripture to Christians and Muslims as well. Maybe we should drop the subject and just eat. The marking of the homes part is clear enough, for how else would an omniscient god know where the Israelites live? But if one is an observant vegan, isn’t it troubling that a firstborn animal, say the offspring of a pet cat, let alone a human child, is to be sacrificed while the life of the lamb is saved? Hopefully some youngest child, at a Seder somewhere tonight, will have the chutzpah to ask such a question. Read Robert Scheer on the United States of self-righteousness, a country that never repents for its unjust wars.